Free Libre Open Source Lebanese Movement: Watch and share this LibrePlanet video, plus exhibitor deadline extended! 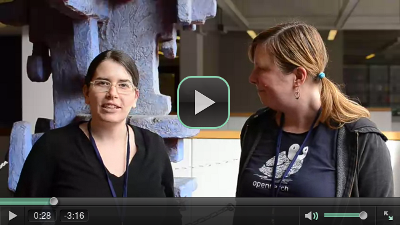 Watch and share this LibrePlanet video, plus exhibitor deadline extended! One of LibrePlanet's major goals is inspiring people to make things and share them with their communities. So we knew 2013's conference was going well when an attendee volunteered to create a video for 2014, using only free software tools. The video is finished now, ready for you to enjoy and share with your friends. Like what you see in the video? We want you at LibrePlanet. Click here to register now. Remember, students and FSF members get in gratis! Are you involved in a free software business or project and wanting to spread the word about your baby? The deadline to apply for an exhibitor table has been extended to today, February 5, 2014. Get your application in today. I hope to see you at Libreplanet on March 22nd and 23rd in Cambridge, Massachusetts! I can't wait to see the new projects that come out of this year's conference. You can view this post online at https://www.fsf.org/blogs/community/watch-and-share-this-libreplanet-video-and-exhibitor-deadline-extended.